I grew up in a hunting family. My grandfather was a hunter, and so are some of my uncles. As a child, I used to enjoy going out in the fields with my grandfather early in the morning, where he used to hunt. I used to spend most of my holidays in my grandparents’ house. I could play anywhere…except in the sitting room. This large room was always kept closed in the dark and it was only used on special family occasions. Dominating the room was a huge mahagony showcase, in which grandfather kept his shotgun and his prized collection of stuffed birds. I loved to sneak in this room from time to time and stare at all those birds, who in turn, kept staring back at me with lifeless eyes. Grandfather was a nice man. He was kind and gentle with everybody. The only reason why he hunted birds was because that was the only way he knew of appreciating them. Unfortunately, many in Malta still have this negative mentality and express their love for birds by hunting or trapping them. The results are evident. Very few birds breed in Malta. We get lots of migrants in spring and autumn, but an army of hunters and trappers makes sure that many of them never leave our shores. Till quite recently, thousands of wintering robins used to be trapped by boys and kept in cages. Most died within a couple of days. Hunters even used to shoot at swallows and swifts as target practice. The largest woodland in the island used to teem with hunters in September, waiting for the birds of prey to start roosting in the trees…and then gun them down. Those who could afford it used to wait offshore for incoming flocks in high-powered speedboats, and then chase them until they gunned them all down. When BirdLife Malta started campaigning and educating to eradicate illegal hunting, it was ridiculed by some, and bullied by others. Slowly the mentality started to change and at last we are getting results. Yes, birds are still being killed in large numbers, and protected species still get shot down by poachers, but good progress is being made. A massive education campaign eradicated robin trapping. Offshore hunting is now illegal for eight months of the year. Due to strict enforcement, most offshore hunters have given up and sold their speedboats. Last year was the first time ever that the spring hunting season remained closed, and as from 1st January 2009, bird trapping became an illegal activity. Less birds of prey are being shot, and cases of shooting on migrating eagles and storks (as unfortunately happened again last autumn) now make headline news on newspapers and television, followed by a public outcry of disapproval. Target-shooting on swallows and swifts has decreased to such an extent that now some pairs are finally managing to breed in Malta too. In many European countries, swallows are considered as messangers of spring. Here in Malta, swallows are bringing us a message too – a message of hope for a better future for birds and nature. is the number of migrating Cranes counted at Flavignac, Haute-Vienne. Lac du Der in Champagne is a well-known site for Cranes among birders. Flavignac, at 25 km from Limoges, remains to be discovered by visiting birders. No less than 74000 Cranes were counted there on diurnal spring migration in 2008, a record number for the Limousin region. Thousands of Cranes fly over Flavignac in a very short time. This spring, 70614 Cranes were counted and the season is not over yet. is the number of Bee-eaters counted at Fort de la Revère, Alpes-Maritimes, last autumn. Fort de la Revère is the southeasternmost migration watchpoint in France, situated between Nice and Monaco. Although the watchpoint is only 14 km from the Italian border, most migratory birds will fly in a southwesterly direction during autumn (towards Spain). Search tip 2: Where is Organbidexka? Most birders will have heard of Organbidexka as a symbol of resistance againts excessive hunting. 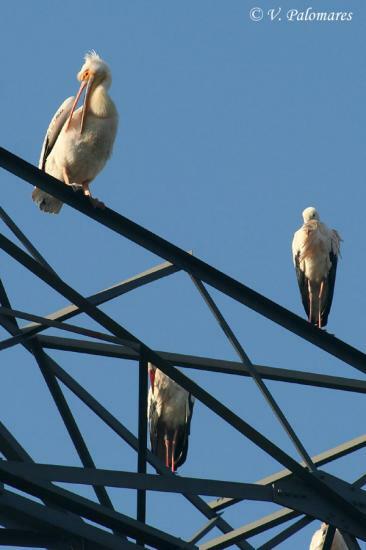 This migration watchpoint has a very detailed observation protocol and a unique data set on bird migration. Anyone can consult it on Migraction. On our homepage you will see a map of France. If you select a dot, the names of the migration watchpoints will appear. In southwestern France, you will see three blue dots (that implies that there are only autumn/fall counts at these sites): from west to east, you will discover Col de Lizarrieta, Redoute de Lindux and Col d'Organbidexka. Select Organbidexka. Under "watchpoint" you will find a brief description in English with a few pictures. The "igloo" at Organbidexka has a satellite connection with Migraction. You can follow migration "in real time". Under "graphs" you can look at the data from Organbidexka. If you select "all years" and "Black Kite" a series of graphs appears. In 1981 1406 Black Kites migrated over Organbidexka, whereas 33194 were counted in 2007! Search tip 1: When are Bee-eaters migrating in France? In Migraction any visitor (also without a password) can look up when a particular species is migrating in France. The system gives different percentages of all migrants and the duration of migration in days. e.g. "When are Bee-eaters migrating in France? " A more advanced interactive analysis is available to migration watchers actively contributing to the data base (with login and password). The White Pelican is back in France! 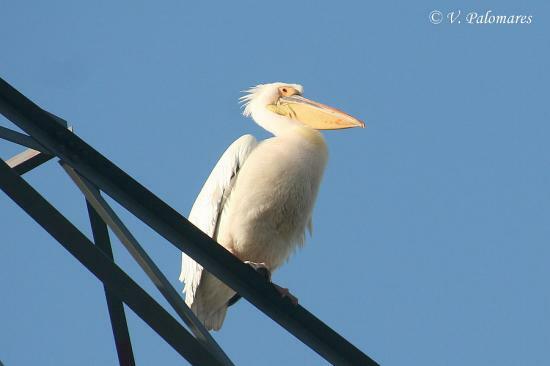 Last reported at Aiguamolls on 12th February, the White Pelican was seen today at Pierre-Aiguille. There were also two Snowfinches there today. 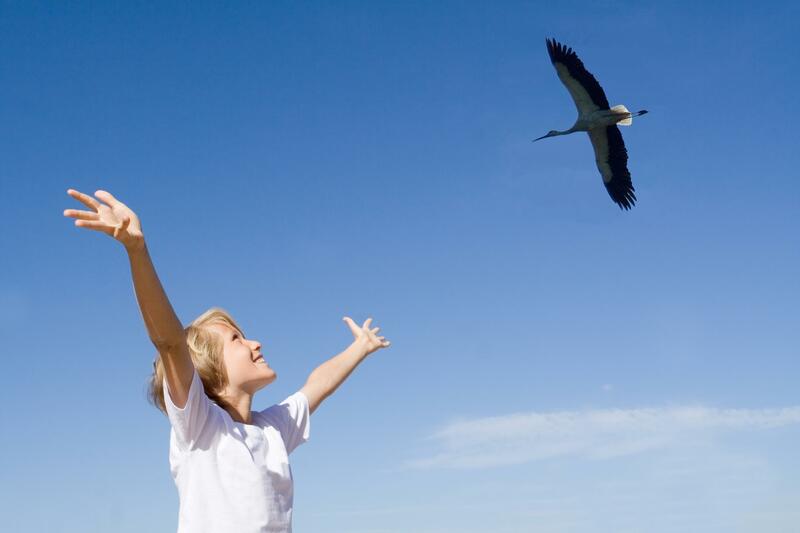 Children all over Europe observe first arrivals of migratory birds. Warszaw (Poland), February 1st, 2009 – Today, the annual Spring Alive event  will be launched by the Partnership of BirdLife International  in Europe. ‘Spring Alive’ invites children of the age of 8-12 to enjoy and marvel at the return of some of the most fascinating migratory birds to Europe. Through the Spring Alive website , children from all over Europe are asked to communicate their first sightings of the White Stork (Ciconia ciconia), Barn Swallow (Hirundo rustica), Common Swift (Common Swift) and Common Cuckoo (Cuculus canorus). Additionally by attracting and uniting European children and their relatives in experiencing nature, Spring Alive aims at contributing to citizen science. Through the observations which the children and/or their teachers communicate through the Spring Alive website, scientists hope to see whether these four bird species arrive earlier in Europe than previously, thus indicating an increase in temperature in European countries. That way, Spring Alive could contribute to raising awareness for climate change amongst Europe’s youth. “Thanks to the observations of our young participants, we will try to determine, how climate change is influencing the spring arrivals of birds” – says Magdalena Chrzanowska, the European Coordinator of the event – “As every year, we also invite parents and teachers to participate in Spring Alive. All they need to do is to register their first sightings of the birds from four Spring Alive bird species on www.springalive.net. Last year our initiative collected over 56 000 observations. Thanks to the people participating in Spring Alive we were able to say that in 2008 spring arrived slightly earlier than in previous years. Still, we need to collect more data to achieve more accurate results and observe long term tendencies.” - explains Ms Chrzanowska. This year Spring Alive hopes to reach for as many European families as possible to share the beauty and fascination of spring bird migrations. Lets celebrate together the arrival of spring! Spring Alive is a pan-European project designed to promote children’s interest in nature and its conservation through the arrival of spring. The core component of Spring Alive is a mass-participation web-based project that is implemented in most European countries. Citizens, but specifically children and families, are encouraged to observe and record the arrival of migratory bird species each year .